Sometimes there really is hope in defeat, and a genuine belief that the result isn't all that matters. Especially with a World Cup just two months away. It is equally possible that the victorious team in a close game like Tuesday’s can walk away with more doubts than positive emotions. The Sri Lankan camp was buzzing after defending 18 runs in the final four overs. The loss in the Super Over was almost irrelevant. For them, as with all teams in a similar situation, they had rescued a lost game and given themselves a chance. A chance which nobody had foreseen when David Miller took 20 runs off Isuru Udana in the 16th over of the run chase. Cricketers always talk about the 'big moments' and how well they perform in them. When the first T20 International came down to the Proteas requiring just 18 runs from the final four overs, with seven wickets in hand, there was surely only one winner. And just as the tourists have reflected on their ability to make a game of a 'dead' one, the home side will ponder on their inability to kill off an opponent with barely a leg to stand on. T20 cricket is not dissimilar to 50-over cricket when it comes to skills. Power-play batting and bowling is the same, but with more intensity. Middle over batting is the same, but it's eight overs rather than 30. Much can be learned from 50-over cricket when selecting a T20 team. And something can also be gleaned from the form, attitude and tenacity of South Africa’s players during the final two T20 Internationals against Sri Lanka and also the domestic T20 league to be played in April. You wouldn't have heard a word out of the Proteas camp unless you were part of – or very close to – to special circle, but the mood was not good once they heard the news that Duanne Olivier had been quoted as saying he would like to continue his test career for England, once he has qualified by residency for citizenship. As hard as it was for South Africans and cricket lovers to accept his Kolpak decision to walk away from the game here and play for Yorkshire, on three times the money, it was grudgingly tolerated. But to declare your desire to play for an arch-enemy just a month after walking out of the Proteas change room for the last time was altogether harder to swallow. Context: Olivier was interviewed by a seasoned English journalist who understands South Africans and the Kolpak situation as well as anyone. He is also attempting to establish himself in a new position at the Daily Mail and knew that a strong story would do his chances no harm. Richard Gibson is a very fine journalist – and man – so no blame can be apportioned to him. He simply asked the question: "Have you considered qualifying for England?" It left Olivier between a rock and a hard place. Answer 'no' and he left himself open to accusations of the most ruthless, mercenary sort. Come to England, take one of our players jobs, take the cash…and you're prepared to give nothing back. Not even an outside chance of playing for us. Olivier felt he should say the 'right' thing. The right thing, obviously, would have been to say: “I'm coming to play for Yorkshire, that's my focus, and we'll see what happens after that." Fine. The ECB reduced the qualification period from seven to three years in order to enable (Barbadian) Jofra Archer to play for England at the World Cup so, perhaps, they have brought this situation upon themselves. All Olivier has to do is fulfill the residency criteria of 210 days in the country for the next three years and he becomes eligible. It feels wrong. It is wrong. Isn't it? It was a headline-grabbing story but irrelevant to the Sri Lankans who are still searching for positives before their World Cup campaign. They may have lost the ‘Super Over’ on Tuesday night but there was a great deal for them to be pleased with. Lasith Malinga's final two overs costing just three runs should be enough evidence that their captain still has what it takes at the death. The collective spirit was suddenly gathered together, just as suddenly as it disappeared during the ODI series and first appeared during the test series. It's like herding cats. Hard to do but nobody wants to mess with you if you get it right. What an extraordinary finish. Those who left Newlands early once Isuru Udana had conceded 20 runs from the 16th over missed a dramatic finish which saw the Proteas fail to score just 18 runs from the final four overs with seven wickets in hand. And they missed a Super Over, too, which are usually a lot of fun. This one was no different. Dot balls feel like the end of the world but when the next one goes for six, as it often can with David Miller, all is well again! No matter who your leg spinner is, who the opposition are and how slow and spinner-friendly the pitch is, it takes courage – and is a gamble – to ask him to bowl your Super Over. But Imran Tahir had six deliveries to display his genius and that is exactly what he did. Defending 15 in one over used to be a bowler's delight – any professional worthy of the name would have backed himself 19 times out of 20 up until a decade ago. These days it's closer to a 50-50 contest, but Tahir was simply too smart, even for renown hitter Thisara Perera. It was quite a day for Miller who started his first international for his country as wicketkeeper with Quinton de Kock being given a rare but much enjoyed gallop in the outfield. Neither could wipe the smile from the face when Niroshan Dickwella edged the second ball into De Kock's gloves – worn by Miller. Much ado is made of the need to keep the composition of the starting XIs 'secret' until the toss in order to abide by the ICC’s anti-corruption code. But anybody with the slightest understanding of the game can work out who will be playing and who won't within minutes of the teams taking to the field for their warm-ups 90 minutes before the start. Would Dale Steyn go to the trouble of marking out his run-up – complete with a bucket of paint to daub his initials on the outfield – if he wasn't playing? Dwaine Pretorius and Aiden Markram were unlikely to be doing repetitive, draining conditioning shuttles for 20 minutes on the verge of a game. And then there was Miller, standing in the practise cordon with gloves on – and De Kock next to him at first slip. Anyway, you get the picture. T20 Internationals are still important but there is no doubt that tensions run less deep than they do in the other formats. Everyone is a little less upset if the result goes against them. Miller admitted before this one that "entertainment is very important, that's the business we're in, but the result does still come first. Ottis says we should entertain ourselves first, then the crowd will be happy." Even long-time Proteas security officer, Zunaid Wadee, let his hair down…no, he doesn't have any. Lowered his guard…no, he NEVER does that. Err… had a bit of fun on a cameraman’s two-wheeler as the teams were warming up. Just a short spin. And then he was back to business. But it was the surest sign possible that the end of the home term is nigh. “Rodents or old age…” Neither was a good sound for the Western Province Cricket Association. I have personal experience of the ravaging effects of both on electrical wiring and fuse boxes, and that’s not all – ghekos and ants, too. But my house was cheaply built in the early 1980s and doesn't stage many international sporting events. The driveway lights are only there to illuminate the way forward for night-time visitors and the cabling was all third-grade and laid without protection in shallow trenches in the flower beds. Weed beds. Moth balls do the trick in fuse boxes, we have learned the hard way. I understand that rodents aren't fond of them either. Anyway, the good news is that the floodlight issue, which derailed the fifth ODI at Newlands, has been resolved and we have been guaranteed a full, illuminated game for the first T20 International. Quinton de Kock, Kagiso Rabada and captain Faf du Plessis will all play their final international fixture of the home season before the leaving the remainder of the series to a couple of newcomers and several who have been around for several years – including Chris Morris. It should have been obvious that the talented allrounder wasn't a contender for a World Cup place six months ago and yet hundreds (if not thousands) of fans continue to select him in the fantasy squads. Unfortunately, he appears that he didn’t tick the required 'attitude' boxes for the Proteas management and, even more unfortunately, it appears that management weren't able to find a way (a 'different' way if necessary) of working with him. Ottis Gibson was resoundingly honest when talking about the individuals who ARE in contention for a place in the 15-man squad. I suspect the absence of Morris from it, if and when confirmed, will be worthy of an explanation. There was more than a tinge of regret at how the ODI series ended but the players have seen and experienced it before – maybe not floodlight failure for all of them but matches have been abandoned in the past because of ‘human error’, mostly inadequate ground covering resulting in a soggy outfield or damp pitch. The reason matches do not continue in such circumstances is ‘player safety’. While Aiden Markram and Rassie van der Dussen would have been quite happy to continue batting under three floodlight pylons that were working, particularly in the absence of any express paced fast bowlers, it was not their choice. Their care is in the hands of the ICC – and the umpires – and they are ultimately responsible for player welfare. In the age of litigation, they cannot afford to take chances. The same applies when a small, seemingly innocuous patch of outfield is unsuitable for 'normal' play. There may be a small chance that play would even be affected, and an even smaller one that a fielder would slip and injure himself, but if he did - and was seriously injured – he would have the right to claim compensation for medical treatment and loss of earnings. Even if he didn't, his insurance company would. So one floodlight pylon gone, game gone. No word has yet emerged from the Western Province Cricket Association concerning reasons for the embarrassment, or whether the problem will be fixed in time and reliable for the the first T20 International against Sri Lanka scheduled for Tuesday at 6pm. JP Duminy gave his fourth or fifth interview about his decision to retire from ODI cricket after the World Cup and the process of distillation improved the quality of every word he said before the start of the fifth and final ODI against Sri Lanka. Newlands was looking an absolute picture and Duminy was undiminished in his love for the venue and gratitude at being able to "call time" on his career "on my own terms." What a pity that the venue let him – and Imran Tahir – down so badly with the floodlight failure which ended the game after just 28 overs of South Africa's run chase. There was every chance that one of Newlands' favourite modern-era cricketers might have been in the middle to score the winning runs instead of sitting in the semi-gloom waiting, with no information, for the situation to improve. Floodlight failures have happened at many grounds around the world, first-world and third, and in many sports. Electricity has no loyalty except to the course of least resistance. But when it goes wrong, or absent, it is so important that its clients know why. Unfortunately, with load-shedding having kicked in at 6pm and the ground switching to generator power, locals suspected worse than a natural, unavoidable fault. And there was nothing by way of explanation to suggest it was, in fact, an unfortunate 'normal' glitch. Tahir bowled magnificently once again (2-33) and also claimed two genuinely impressive catches in the deep providing him with four opportunities – all gleefully accepted – to run amok with his wild and delightful celebration sprints into the outfield. They were the last of their kind on South African soil and the Newlands crowd, thinner than we would have liked but still close to 10 000, lived every moment with him. Faf du Plessis and the rest of the players insisted they both lead the team off the field having dismissed Sri Lanka for just 225 and they did so to a standing ovation. Aiden Markram had time to confirm his place in the World Cup squad and the Proteas were cruising to another comfortable victory when the floodlight debacle happened. Maybe it wasn't a debacle. Perhaps all the required maintenance had been done, and it was completely unrelated to load-shedding. It could have been 'force majeure' as the insurance companies call it. The people needed to be told that. 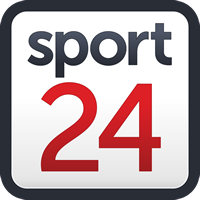 It was a busy news day at Newlands on Friday with JP Duminy’s announcement that Saturday’s final ODI against Sri Lanka will be his final one on home soil before retiring from the format after the World Cup – although he was far from complacent about his selection. “Nothing is guaranteed but I am passionate about the World Cup and, hopefully bringing it home, finally. Having said that, we are approaching it in a slightly different way this time around under Faf’s leadership – we’re a bit more relaxed. We’ll give it our best shot, play as well as we can, play for each other. That’s all that we can do,” Duminy said. Also in the news was the future look of Newlands and the WPCA’s determination to make the venue fully sustainable year-round which will incorporate an eye-watering R750 million regeneration incorporating an office-complex and several corporate headquarters. “We are being proactive in this regard because the future does look a bit gloomy, not just for us but for other cricket venues. Even Cricket South Africa’s financial future does not look good and they are the mother body so, if they go under we all go under,” said chief executive Nabeal Dien. Building work has already started at the Kelvin Grove end with the first phase due for completion by December 2020. The greatest concern at the moment is that next year’s New Year test match, against England, will take place with construction work at its most advanced and invasive stage meaning the erection of temporary stands to accommodate the tourists, 8000 or-so travelling fans, will be almost impossible. The pitch for Saturday’s match will be the first for almost a decade not prepared under the careful curatorship of Evan Flint, now in charge at the Wanderers. It looks a little more cracked than usual although there is an even covering of grass to hold it all together. I suspect there will be significant uneven bounce and batsmen, once again, will struggle for fluency. But they’ve become used to that in recent seasons. At least, the Proteas have.